Another book that suffers from a misleading title and unfortunate institutional pressures. It’s not a ‘Medieval Literature’ book; nor is it really even a ‘British’ literature book. It’s more or less a survey of traditionally delineated territory, namely, English literature from Caedmon to Caxton (where Caxton promises us the present day), with a few enfoldings of non-English works that had the most influence on medieval literature most generally (twelfth-century Parisian academic allegory, The Consolation of Philosophy, Augustine, the Roman de la Rose). 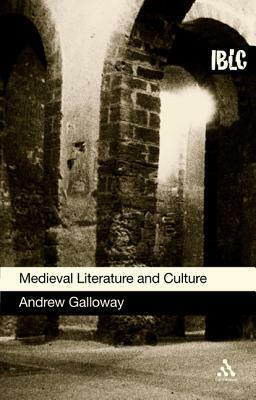 Galloway makes a few gestures towards Anglo-Norman literature, somewhat less to various Celtic and Norse literatures, and none at all towards Anglo-Hebrew literature (not that there’s a lot of it: but still). My ideal book would consider the intercultural and interlinguistic connections in more detail, resist more strongly the trajectory towards Westminster English, and thus would have to consider not only Britain but also, depending on the century being covered, North Africa and Rome, Norway and Denmark, Northern France, Paris, and Northern Italy. Is that too much for a 100-page book? Is it impossible to do in an ‘English’ department? Probably. But doing it any other way means either explicitly or implicitly doing an ‘ancestral’ model of medieval literature, which, at the very least in our increasingly (or finally acknowledged as) multicultural, multinational classrooms, is a mistake and an imposition. This entry was posted in Book Reviews, MedievalBlog and tagged england by medievalkarl. Bookmark the permalink.